Dozens of Ponteland parents will today call on Northumberland County Council to think again over plans to close the area’s children’s centre. 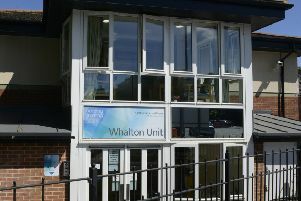 The authority is proposing to change the use of these buildings, known as Sure Start, at five locations in order to save costs and provide the services for under fives in different ways. In Ponteland, children’s centre services would be provided in other venues such as the library, St Mary’s Church Hall and the Memorial Hall. In its consultation document, the council expects that there will be some reduction in the level of services as a result. It would only be able to continue to provide the same level of support as now for ‘families in need’. A public meeting is taking place at the centre, located in Thornhill Road, from 3pm this afternoon and Maria Lunn – a parent member of the Ponteland centre’s advisory board – is urging those against the plans to come along.